Jean-Louis Xavier Trintignant (French pronunciation: ​[tʁɛ̃tiɲɑ̃]; born 11 December 1930) is a French actor, screenwriter and director who has enjoyed international acclaim. He won the Best Actor Award at the 1969 Cannes Film Festival as well as the Best Actor Award at the César Awards 2013. Trintignant was born in Piolenc, Vaucluse, France, the son of Claire (née Tourtin) and Raoul Trintignant, an industrialist. At the age of twenty, Trintignant moved to Paris to study drama, and made his theatrical debut in 1951 going on to be seen as one of the most gifted French actors of the post-war era. After touring in the early 1950s in several theater productions, his first motion picture appearance came in 1955 and the following year he gained stardom with his performance opposite Brigitte Bardot in Roger Vadim's And God Created Woman. Trintignant’s acting was interrupted for several years by mandatory military service. After serving in Algiers, he returned to Paris and resumed his work in film. He had the leading male role in the classic A Man and a Woman, which at the time was the most successful French film ever screened in the foreign market. In Italy, he was always dubbed into Italian, and his work stretched into collaborations with renowned Italian directors, including Sergio Corbucci in The Great Silence, Valerio Zurlini in Violent Summer and The Desert of the Tartars, Ettore Scola in La terrazza, Bernardo Bertolucci in The Conformist, and Dino Risi in the cult film The Easy Life. Throughout the 1970s, Trintignant starred in numerous films and in 1983 he made his first English language feature film, Under Fire. Following this, he starred in François Truffaut's final film, Confidentially Yours, and reprised his best-known role in the sequel A Man and a Woman: 20 Years Later. In 1994, he starred in Krzysztof Kieślowski's last film, Three Colors: Red. Though he takes an occasional film role, he has, as of late, been focusing essentially on his stage work. After a 14-year gap, Trintignant came back on screen for Michael Haneke's film Amour. Haneke had sent Trintignant the script, which had been written specifically for him. Trintignant said that he chooses which films he works in on the basis of the director, and said of Haneke that "he has the most complete mastery of the cinematic discipline, from technical aspects like sound and photography to the way he handles actors". Trintignant comes from a wealthy family. He is the nephew of race car driver, Louis Trintignant, who was killed in 1933 while practising on the Péronne racetrack in Picardy. Another uncle, Maurice Trintignant (1917–2005), was a Formula One driver who twice won the Monaco Grand Prix as well as the 24 hours of Le Mans. Raised in and around automobile racing, Jean-Louis Trintignant was the natural choice of film director Claude Lelouch for the starring role of race car driver in the 1966 film, A Man and a Woman. He suffered a leg injury from a motorcycle accident in June 2007. His first wife was actress Stéphane Audran. His second wife, Nadine Marquand, was also an actress as well as a screenwriter and director. They had three children: Vincent Trintignant, Pauline (who died of crib death in 1969) and Marie Trintignant (21 January 1962 – 1 August 2003). At the age of 17, Marie performed in La terrazza alongside her father and later became a successful actress in her own right. She was killed at the age of 41 by her boyfriend, singer Bertrand Cantat, in a hotel room in Vilnius, Lithuania. Trintignant is good friends with Anouk Aimée. It was he who recommended Aimée to film director Claude Lelouch for the female lead in A Man and a Woman. 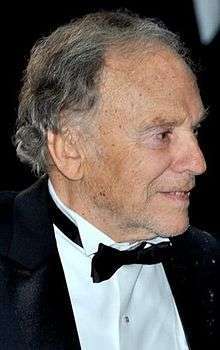 Trintignant was nominated to receive the César five times: in 1987, 1995, 1996, 1999, and in 2013. ↑ Cannes 2012, "Amour": le retour à la lumière de Jean-Louis Trintignant, Huffington Post in cooperation with Le Monde, 2012-05-20. 1 2 "Michael Haneke Directs Amour, With Jean-Louis Trintignant". New York Times. Retrieved 2012-12-30. ↑ "Berlinale 1968: Prize Winners". berlinale.de. Retrieved 2010-03-03. ↑ "Festival de Cannes: Z". festival-cannes.com. Retrieved 2009-04-09. 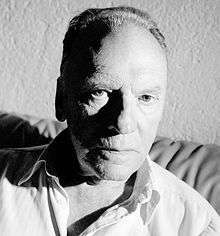 Wikimedia Commons has media related to Jean-Louis Trintignant.